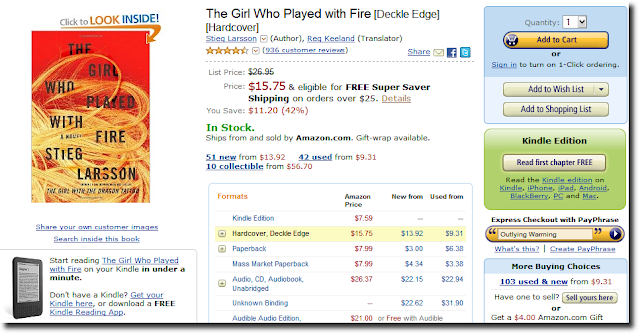 Amazon has launched a Web based version of their Kindle reading app (read more at Kindle for the Web). This one works from a regular browser, and does not require any download. The funny thing is that the button to read a free chapter from a book requires you to be on the non-Kindle page of that book. If you are on The Girl Who Played with Fire , you see the button labeled "Read first chapter FREE" in the green box (see below). But if you go to the Kindle edition for the same book, The Girl Who Played with Fire , there is no such box. Which seems a bit odd. 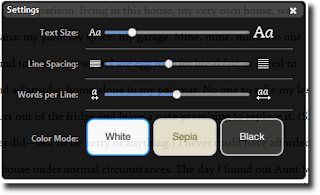 The other options for sending the book to any of the supported Kindle Apps is there, but not the option of reading the book on the Kindle Web app. 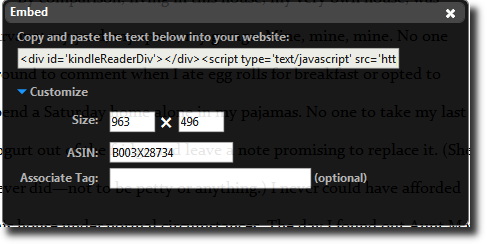 One of the neatest features of the web app is that you can embed the Kindle Web reader on any web page. 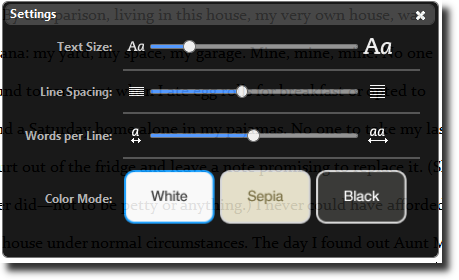 You can change the size of the text, line spacing, and even a color. The other interesting thing is that you can only read Kindle books that are available on the Amazon.com store. So, you cannot, as far as I can tell, take a book in a PDF format for example and read it on the Kindle Web app. Same is the case for other Kindle Apps actually.